Publisher’s synopsis: Celebrate the festival of lights with Corduroy. 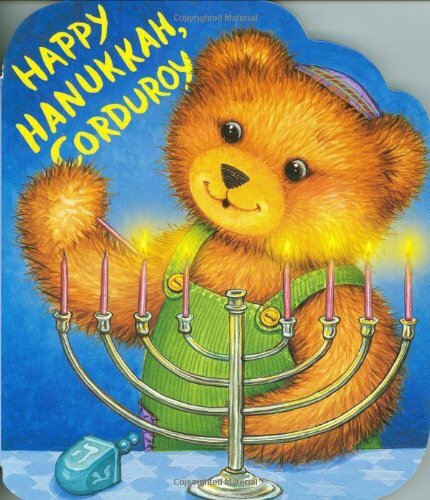 Corduroy’s having a Hanukkah party for all of his friends. First they light the menorah, then they eat yummy potato pancakes. After they open presents, there’s time for a game of dreidel. Introduce little boys and girls to all of the Hanukkah traditions with Corduroy, one of the most beloved children’s books characters for over forty years. Publisher’s synopsis: It’s Chanukah, and Baby wants to spin the dreidel–but where is it? Children can lift the flaps to find Chanukah symbols while they join Baby in this fun-filled, hide-and-seek adventure. A wonderful Chanukah treat for babies! 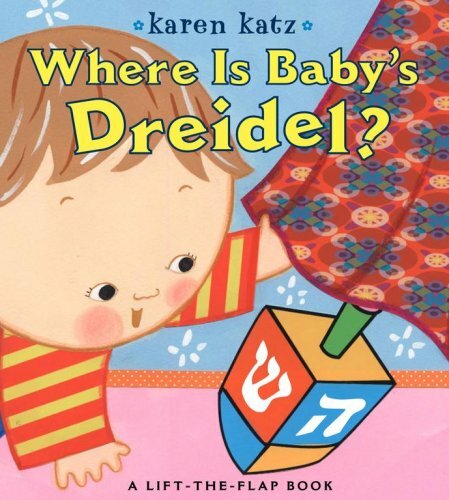 Add this book to your collection: Where is Baby’s Dreidel? Publisher’s synopsis: Hanukkah is here! There are so many fun things to do-light candles in the menorah, open presents, eat latkes and chocolate coins, play the dreidel game, and more. 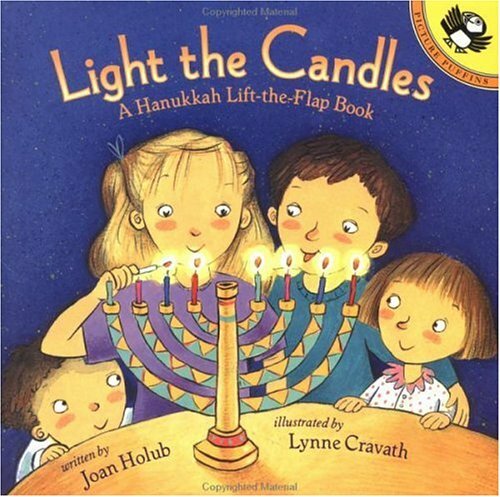 With the turn of each page, another candle is added to the menorah and another fun element of Hanukkah is depicted. Children can lift the flaps and see all the special ways there are to celebrate this joyful holiday. 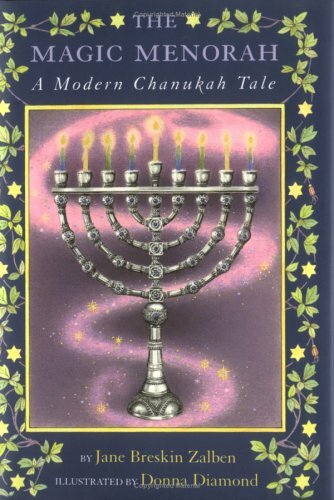 Publisher’s synopsis: Hanukkah miracles fill the pages of this sparkly foil menorah book! 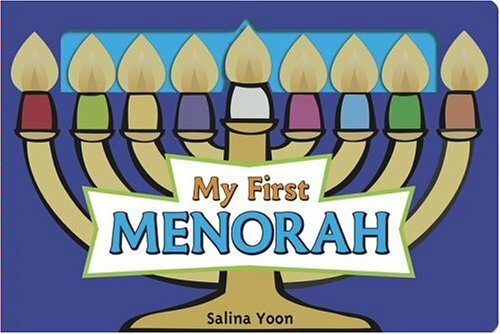 Turn the candle-shaped pages one by one to learn about the eight days of this Jewish holiday and celebrate with blessings, gifts, and family fun. Publisher’s synopsis: One crescent moon glows in the sky. Two headlights shine through the window. . . . On each magical night of Chanukah, a young boy and his sister count more lights shining all around them! Join them as they discover what it means to celebrate Chanukah in a world filled with so many other lights. 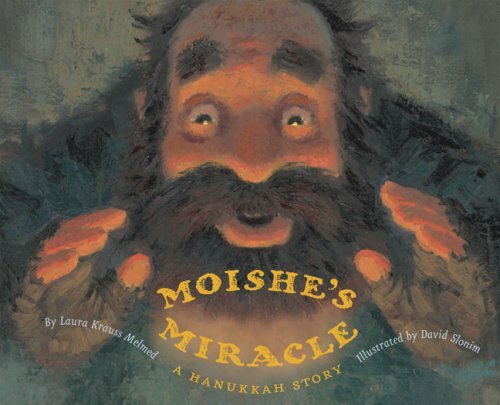 Publisher’s synopsis: Kind-hearted Moishe is given a magical frying pan that will produce all the latkes you could wish for latkes by the dozen, latkes by the hundreds but only Moishe must use it. Alas, his short-tempered wife, Baila, does not heed the warning. Publisher’s synopsis: A traveler rids a village synagogue of ghosts. A Caldecott Honor Book. 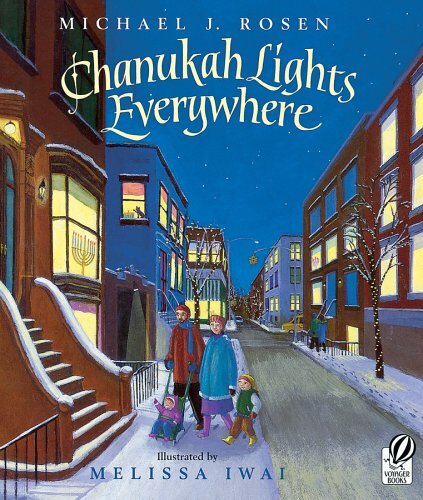 Publisher’s synopsis: Stanley dreads Chanukah. He hates having to clean the house, grate mounds of potatoes, and deal with a bunch of noisy, nosy, pushy relatives. He’d much rather live like a rock star and do whatever he wants whenever he wants to do it. Stanley gets his wish when he uncovers a tarnished, antique menorah, begins to rub the schmutz off of it, and discovers a genie named Fishel. Fishel, who looks more like a haggard old man than any genie Stanley ever heard of, grants him three wishes. Finally! Stanley will get the fame and fortune he’s always wanted. But why does Fishel insist on taking Stanley back in time to grant a wish? What do people who lived in the 1930s have to do with Stanley now? In this heartwarming holiday story, Jane Breskin Zalben shows us the strength of family and what being happy is really all about. 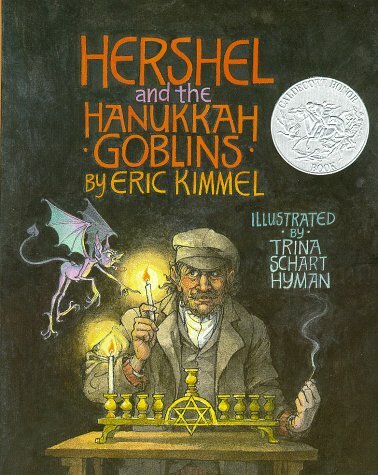 Leave us a comment: Tell us about your favorite Children’s Hanukkah books. Source of books: Library and Book Store.